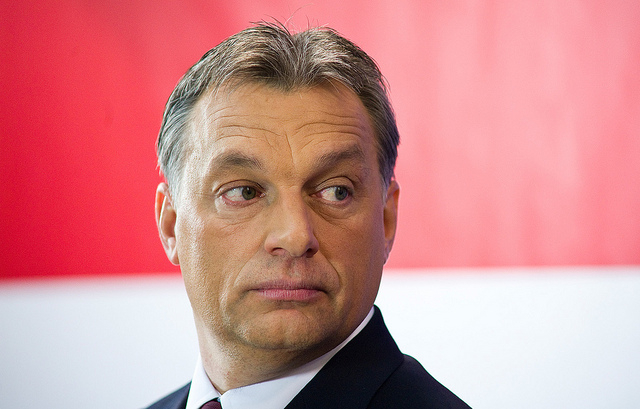 The United States said yesterday (20 October) six Hungarians had been banned from entering the US, as a warning to Budapest to reverse policies that threatened to undermine democratic values. An American diplomat in Budapest said yesterday the individuals were public servants or people with government connections. Last week’s ban came after a long series of warnings from Washington, the embassy said. A 2004 Presidential proclamation allows the US government to ban foreign nationals whose corrupt conduct hurts US interests, without providing proof of the charges. The travel ban is a sanction recently used by the USA and the EU against Russian nationals in the context of the Ukraine crisis. Corruption was one symptom of Hungary’s weakening democratic institutions, US Chargé d’Affaires André Goodfriend said. “At a certain point, the situation, if it continues this way, will deteriorate to the extent where it is impossible to work together as an ally,” Goodfriend told reporters at a briefing on Monday. Hungarian Prime Minister Viktor Orbán, re-elected for another four-year term in April, said in a speech in July that he aimed to build an “illiberal state” in Hungary, citing Russia, China and Turkey among successful models. “We have spoken about this for so long that at a certain point you have to decide if you believe these things, if they are more than words, what is the action you take?” Goodfriend said. Orbán’s chief of staff, János Lázár, told the Hungarian parliament’s national security committee the government was not privy to the details of the cases. “The government of Hungary is somewhat baffled at the events that have unfolded because this is not the way friends deal with issues,” Lázár told the committee. “If you say you have credible information on something and then talk about government officials, then you help Hungary only if you provide us whatever credible information you have,” Lázár said. Hungarian Foreign Minister Peter Szijjarto is due in Washington on Tuesday, where he is will meet Assistant Secretary of State Victoria Nuland, partly to talk about the issue. Is the US prepared to ban from entering its territory all persons “suspected of undermining democratic values” ? Unchartered waters indeed ! Are such decisions really taken by the President alone without providing “proof of the charges” ? Not a very “democratic” procedure ! Hungarian officials under Erdogan rules are neither better than it was under Juanikovic “presidency”n UKR ! The U.S. in fact have balls for acting . What is the E.U. doing ? Nothing ! Simply klaughable ! Why not givin’ the “Erdogan -State” to Russia and exchange Ukraine as an E.U. State ! The US has spawned an entire generation of Americans that hate America: The 80 million members of the millennial generation, born 1977 to 1995, represent 25% of the U.S. population. The US government is showing signs of fear by militarizing it’s domestic police forces and becoming increasingly tyrannical at home and abroad. Today, the domestic police can violate the US Constitution by seizing an individuals property and wealth without ever proving a crime has been committed or bring charges against an unfortunate victim. I know in what you’re reffering to .. the Michael Brown case when a local police called officer Darren Wilson in Ferguson shot him down (as an example). The other issue in my opinion is unfortunately the free carry of a gun still with no limit. It’s clear that the federal governement has to take action by militaritzing it’s police forces for protection and clashes because there are a minoritiy of americans with a little more anarchistical behavior. But it’s not the fault of the governement when local police officers are behaving unconstitutional. Even in crime case if you’re innocent you get an restitution if the local police seized property and wealth before. Now Convicting Darren Wilson will be unfortunately upon to the law in Missouri basically impossible ! Obama has to work on it! Forget Michael Brown. You would have to go back to that Hong Kong hotel room with Snowden to understand our Millennials. Don’t miss the new film, “Citizenfour”, which had its premiere at the New York Film Festival on October 10th and will open in theaters nationwide on October 24th. Police can seize up your property on the spot if they want to without charging you with a crime. They deliberately target those whom can least afford to challenge them. Watch the video. Rule of Law is determined by whomever is occupying the imperial white house at any given time in history. In fact the NSA Is the most stupid & parasit(ized) organization i ve ever heard ! That is in fact a stupid legalized robbery by law enforcement. However you can ask him for a bill because you don’t have money cash ! With this you have a proof about your transaction and where the money goes in case of! In Europe too we have many cases of wrong police telling drivers to pay in cash ..Some of the “fine” payers flops in. All about to protect & to serve …but whom? Besides U.S. Gidiots officers there are keen police officers too ! Concerning the movie citizensfour – i will watch it !